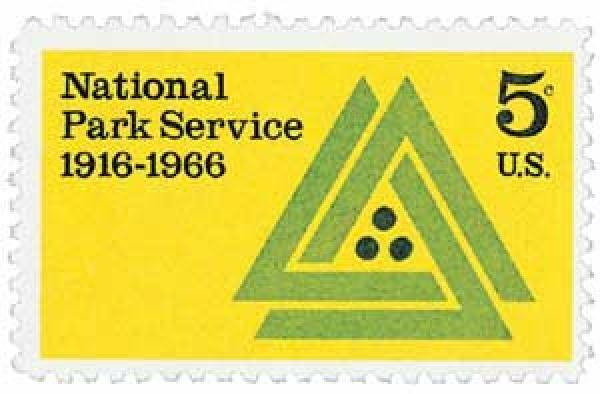 Decades after the first national park was created, the National Park Service (N.P.S.) was officially established on August 25, 1916. In the 1800s, Americans began to take notice of the natural wonders around them, and some began to call for their protection. The earliest example of this is Arkansas’ Hot Springs, which was made America’s first federal reserve in 1832. During the Civil War, conservationists became worried about the affects of commercial ventures in Yosemite and lobbied for its protection. In 1864, President Lincoln placed Yosemite under the protection of the state of California. This was the first time the U.S. government set aside park land specifically for preservation and public use. U.S. #760 – Created in 1872, Yellowstone was the world’s first National Park. Less than a decade later, similar concerns arose in Wyoming. Expeditions to the Yellowstone area found it was host to deep canyons, majestic waterfalls, pristine lakes, dense forests, and spectacular geysers. Concerns grew that developers would come in and charge fees to see the natural wonders, while not taking care to protect them. Then in 1872, President Ulysses S. Grant signed legislation protecting Yellowstone, and making it America’s – and the world’s – first national park. More parks, preserves, refuges, monuments, and other pieces of land were set aside over time. However, there wasn’t a unifying organization in place to manage them. As such, many lacked funding and private companies opened hotels, railroads, ranches, and sawmills on the land, putting the natural and historical sites in danger. Among the many calling for change was Stephen Mather, a wealthy industrialist. He launched an extensive campaign, backed by fellow industrialists, schoolchildren, newspapers, and even the National Geographic Society. Mather’s efforts paid off on August 25, 1916, when President Woodrow Wilson signed legislation establishing the National Park Service. Over time, lands were transferred to the N.P.S. from the Forest Service and War Department. Today, the National Park Service includes over 400 areas, covering more than 84 million acres, in the 50 states as well as American territories. 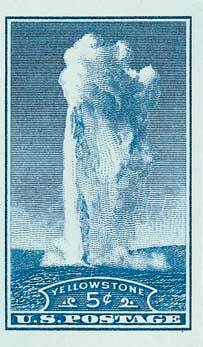 Click the images to add these stamps and history to your collection. This entry was posted in August 2015, This Day in History. Bookmark the permalink. 14 Responses to "This Day in History… August 25, 1916"
Very interesting! Hopefully, more lands will be set aside as national park lands. One of the things that prompted the creation of the National Park Service was the losing fight to keep San Francisco from damming Hetch Hetchy Valley which was within Yosemite national Park. John Muir, who spearheaded the creation of Yosemite as a national park in 1890, compared Hetch Hetchy to Yosemite Valley with high granite cliffs and crashing waterfalls. The Damming of Hetch Hetchy in 1914 demonstrated that national parks really had little legal protection. National parks are still threatened by underfunding by the U.S. Congress. Super! Fun to take note! Being a coin guy, I have all the national parks silver proof quarters to date, plus lots of Yosemite exonumia. 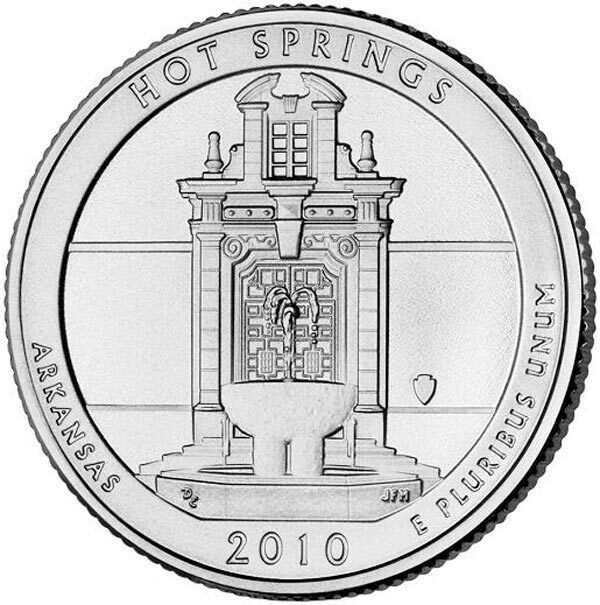 Not to cast any aspersions, but my numismatic literature shows Arkansas Hot Springs as the first official nat’l park of record, not Yellowstone. But maybe “first federal reserve” designation didn’t initially qualify Arkansas Hot Springs as a Nat’l Park. Interesting… Anyway, great series! Looking forward to future This Day in History events! I was not aware that the National Park System was so massive. Good info. Thanks so much for the daily bit of history to start my day. It is fascinating. Every day I look forward to this day in history! As a fan of national parks, that was of interest to me. You need to’ hang on’ to natural wonders for future generations, very interesting.